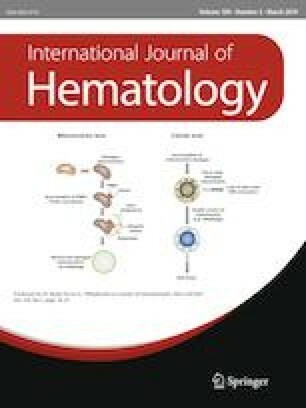 Reduced pulmonary function is commonly observed after allogeneic hematopoietic stem cell transplantation (HSCT); however, its relationship with the development of noninfectious pulmonary complications (NIPCs) is unclear, and the impact of changes in pulmonary function test (PFT) values on HSCT outcome remains controversial. We conducted a retrospective study including 150 patients to investigate changes in PFTs and impact on clinical outcome. PFT data at around 1 year after HSCT were available in 84 patients, and showed a significant time-dependent decline in percentage predicted forced expiratory volume in 1 s and other parameters. We focused on %FEV1, calculated decline of %FEV1 from pretransplant to around 1 year after HSCT (Δ%FEV1), and divided patients into good-Δ%FEV1 or poor-Δ%FEV1 groups, using a cut-off point of 20% decline of Δ%FEV1. In the poor-Δ%FEV1 group, half of the patients developed NIPCs. In the good-Δ%FEV1 group, PFT values were maintained, whereas those of the poor-Δ%FEV1 group declined significantly. Multivariate analysis showed that busulfan use was a risk factor for %FEV1 decline, and poor-Δ%FEV1 was a risk factor for overall survival. These data indicate that decline of %FEV1 may be a useful indicator of pulmonary damage after HSCT, and is strongly associated with busulfan use. The online version of this article ( https://doi.org/10.1007/s12185-018-02581-y) contains supplementary material, which is available to authorized users. We acknowledge all the physicians, nurses, and staff who contributed to the patient care at the Department of Hematology and Oncology in Konan Kosei Hospital.